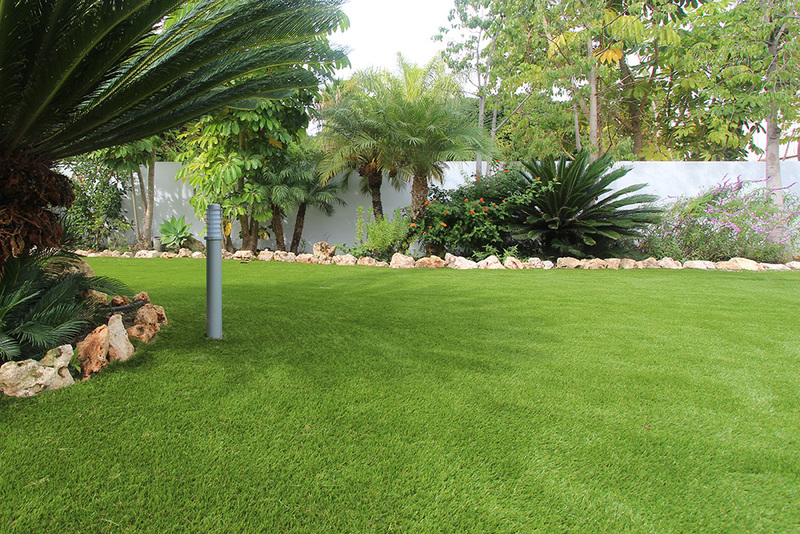 For this garden we needed 2 weeks to change 380 m2 of natural lawn into artificial turf. 380 m2 of natural lawn means 695 m3 of water for irrigation. Paying about 3.41 Euro for each M3, this family will safe each year 2.371 Euro in water expenses.